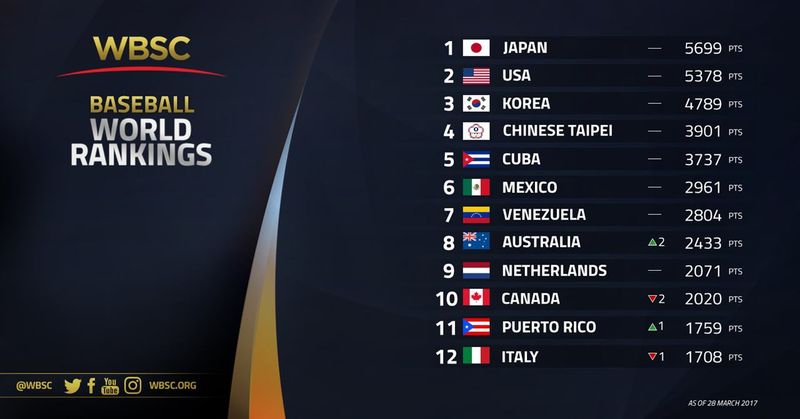 3 Asian National Teams ranked among top 10: Japan remains World No. 1, Korea No. 3 and Chinese Taipei No. 4.